Paul Frost manages the home inspector team at Evergreen Property Inspectors, LLC. His background includes operations and sales management experience in the home construction and remodeling field as well as property and casualty insurance industry. He was born and raised in Edwardsville, Illinois and returned to the metro-east area after honorably serving in the US Army for six years. 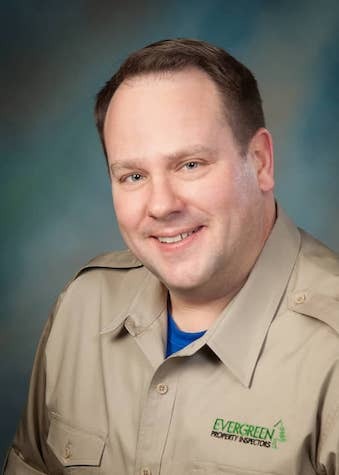 He enjoys working with his hands and when he is not engaged in projects for family, friends, or his own 100-year-old home, he is volunteering with various organizations throughout the metro-east community. Helping clients understand what they are getting into before they make a purchase has a tremendous impact on their lives. Some people are happy with getting a great deal in exchange for putting some work into their property. Others want to have minimal work and upkeep. Our job is to help them understand the condition of the property at the time of purchase, and I take that responsibility to heart. 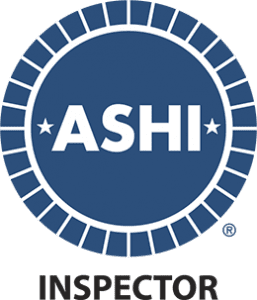 Paul is a graduate of the ASHI School Hands-On Home Inspection Training Program and is an active member in the American Society of Home Inspectors (ASHI) as well as the International Association of Certified Home Inspectors (InterNACHI). When he isn’t working, Paul enjoys spending time with his four huskies, fishing, and watching the St. Louis Blues hockey games. William Frost brings thirty-five years of construction and team management experience ranging from new construction and remodeling manufacturing and installation to property and casualty insurance. 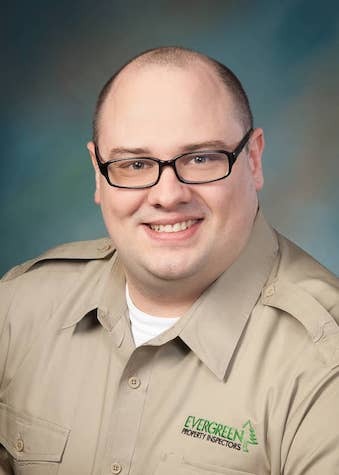 He grew up in Edwardsville, Illinois and after proudly serving in the US Navy as an electronics technician he returned to the Saint Louis area and now resides Olivette, Missouri. He helps manage the marketing and operations at Evergreen Property Inspectors while providing ongoing support to inspectors in the field. William enjoys spending family time with his wife, three children, seven grandchildren, four siblings and the rest of the extended family throughout the greater Saint Louis Region. He is enjoying all that life has to offer and you’ll often see him at sporting and music events around town. Heather Johnson is a fifth generation building trades professional following in the footsteps of masons, carpenters, remodelers, and builders. She grew up tearing out drywall, cutting into foundations, and re-wiring outlets. 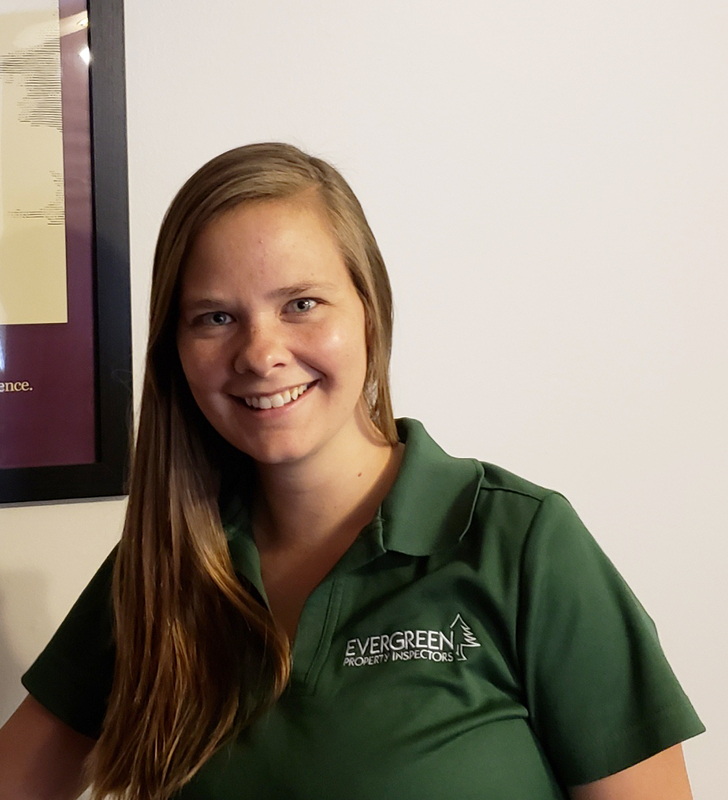 Heather joined Evergreen Property Inspectors in 2017 as a marketing manager and has since obtained her Certified Home Inspector designation from InterNACHI. 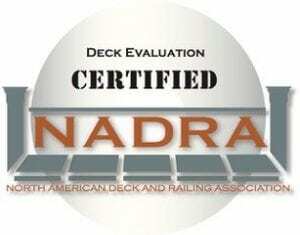 Clients are always recognizing Heather at inspections as she seems to be everywhere at all times. She covers the complete Greater Metropolitan Saint Louis region when chasing her kids, nephews and neices at baseball games, girl scout fundraisers, and performances. Her family loves the outdoors and loves being active in our community. CONTACT EVERGREEN PROPERTY INSPECTORS TODAY TO SCHEDULE A HOME INSPECTION IN THE GREATER ST. LOUIS AND METRO EAST AREAS. 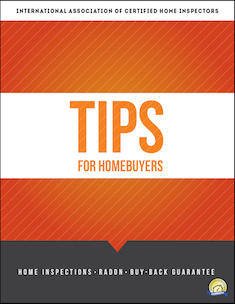 Email me and I’ll send you my free e-booklet: Tips for Homebuyers: What Every Homebuyer in the St. Louis Region, must know!